Lawn Fawn: October Inspiration Week! Elle's Studio: The Fun Continues! 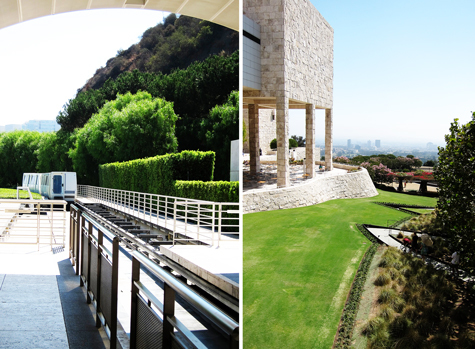 The Getty Center was in our Summer to-do list, but we ran out of time. We had a school holiday two weeks ago, so the kids and I headed over there. 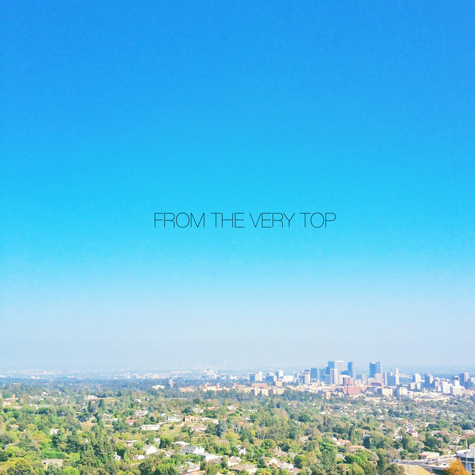 If you are ever in Los Angeles, this should be in your must-visit list. Really! It's not just the art (which is amazing! ), it's the whole experience. You start with the tram that takes you to the top of the hill. The tram curves around, and it gives you a view of the city, as well of the freeway below. In the last few moments, you get a peek of the building. I love how the trip reveals a little bit at a time. 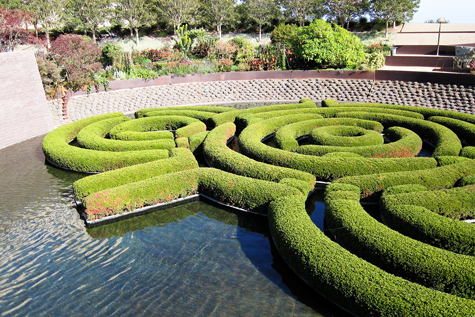 Then you get out, and you are surrounded by beautiful gardens, gorgeous architecture, famous sculptures, and more amazing views. Once inside, you will see world class art. But it's not all art and no play. They have lots of interactive art, and one nook that you can go and sketch real works of art. My two eldest loved that. They sat there and sketched for a while. And much to my happy surprise, they decided that they will continue sketching on their own. Right now, there's a Franz Xaver Messerschmidt exhibit. 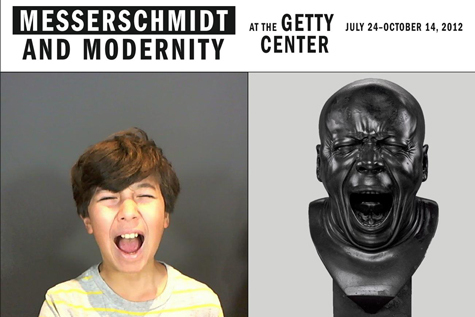 They had a fun room where you can go in and take a selfie recreating a Messerschmidt sculpture. Here's the middlest's take. My favorite part was the garden. 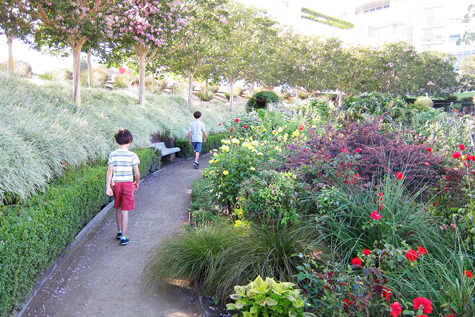 When you live in an urban environment, big, well designed gardens are rare, and such a treat. AND (yes, this is a big "and") they had maple trees with leaves that were changing colors. 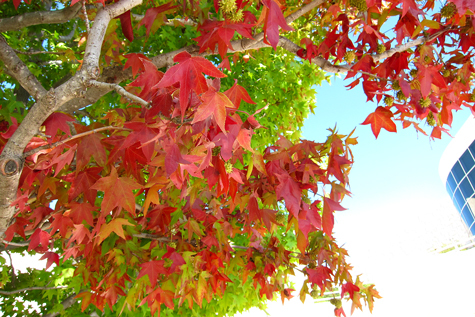 It might have been a warm Los Angeles day, but the tree had the most beautiful red leaves. Sigh of happiness. I miss Fall. Real Fall. This trip was a total success. 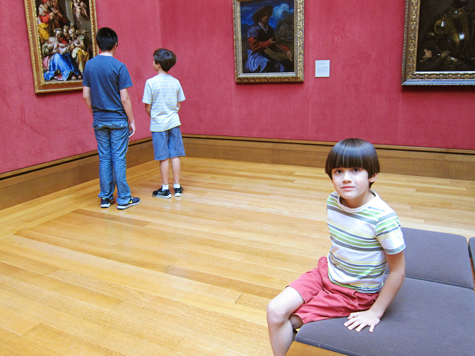 Instead of the usual "are we done yet" that I hear when we visit museums, the kids have made plans to go back. As a matter of fact, my middlest summed it up the best, "This is the best museum ever. We should come back more often." And hey, it's free! Win-win. So glad you posted about this! I have a degree in architecture and was super excited when they were planning this building and the results are amazing! Your post is a reminder that there's something in that area that's gotta be on my list of places to visit! I was also glad to hear that it was so kid-friendly! Thanks for the great post! Awww, thanks Ruth! So glad you stopped by.